New Delhi: India’s environment ministry has a new ‘green’ address. Prime Minister Manmohan Singh today inaugurated the new headquarters in New Delhi which took three years in the making and cost more than Rs. 200 crores. “It’s the greenest building in India” said Rural Development Minister Jairam Ramesh, who was the Environment Minister when the building plans were finalised and approved. Located in Jor Bagh, the eight-storey building stands out in the upmarket neighborhood of the capital. The first thing that grabs the eye is the roof which seems to be hanging in the sky. Each time the lift in the building halts on a floor, it generates a small amount of energy, said Dr Arun Kumar Trivedi, an engineer who was one of the key people in the planning of the building. “There are several features which we had planned, some got built others not, but even then this is a marvel of what can be achieved in the country,” he said. On the terrace are huge solar panels. This is where the building generates almost 1 MW of power for its needs. 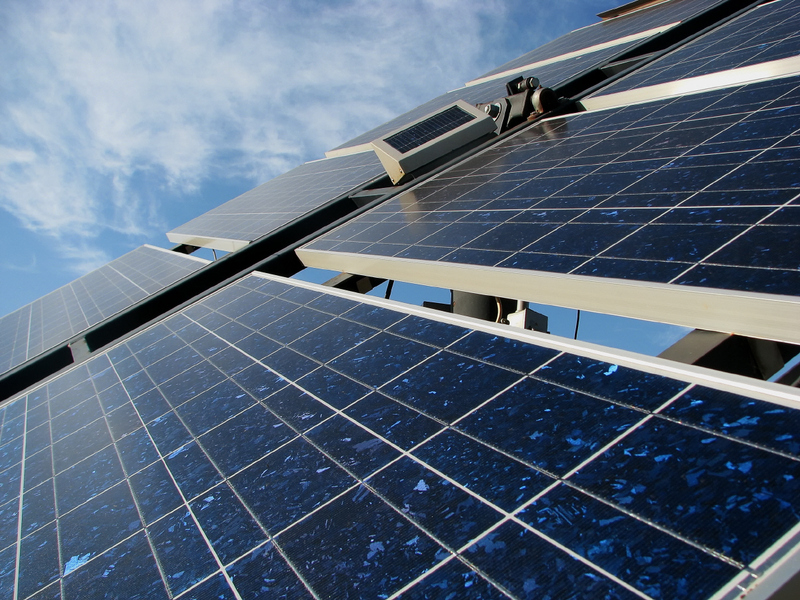 The panels, imported from the US, have a high efficiency conversion rate of 18 percent. The building also has three levels of automated underground parking which can house 300 cars. “We can retrieve any car in three minutes and empty the entire lot in 40” said one of the attendants. Thick cables from the roof converge in the power room where the DC power is converted into AC current to be used in the building. Computers here direct the power to where it is needed in the building; any extra power is routed through a cable that is connected to the power grid and is fed back to the city. Another feature of the building is the use of Geo thermal heat exchange system to cut down the power needed to run air conditioners. The building also recycles all of its water. Engineers claim treated waste water, which is used in the air conditioning system and also for watering the greens, will reduce water demand by over 50 percent. The building which has been given a 5-star rating by TERI’s GRIHA and a platinum rating by Leadership in Energy and Environmental Design (LEED) may open to the public as part of knowledge exchange, say senior officials. A lot, however, will depend on the ability of officials to maintain and run the systems which have earned the building its green rating.